The Vintage Ohio Wine Festival attendees visiting the Wink Wagon will experience the “Wink Effect” by receiving FREE justWink greeting cards, a new line of adorably hilarious cards for every who, what and when in life, engaging in fun activities and the opportunity to discover how justWink cards can besent from anywhere to anyone at anytime – including traditional mail, text message, email and Facebook (all from the free mobile App or the justWink site www.just-wink.com). 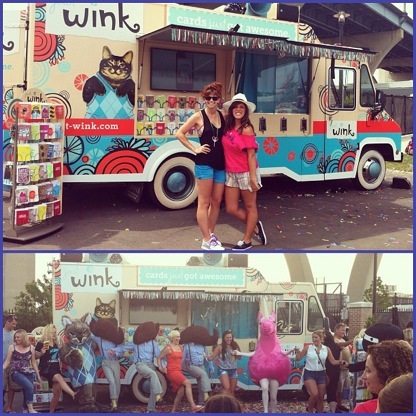 This Cleveland-area stop is just one of the festivals that justWink will be visiting as they trek across the United States on the fun and festive Wink Wagon – essentially a tricked out, glitter-enhanced and unicorn-approved card party on wheels! Friday: 1p.m. – 10 p.m. Receive a justWink fortune…which could change a life! For 100 years, American Greetings has been a creator and manufacturer of innovative social expression products that provides consumers with a unique and personalized voice. justWink is a line of adorably, hilariously awesome cards you can send from anywhere to anyone at anytime. They’re everything you never expected from a greeting card – from sentimental and cuddly to shocking and confident. They’re easy to find! justWink cards are now available at participating drug chains, grocery stores and mass retailers nationwide. Guess what? Each card has a QR code and URL on the back that directs you to a free justWink app for iPhone and Android phones. Enjoy immediate gratification? Download the app and you can send digital cards via text, email or Facebook…RIGHT NOW. 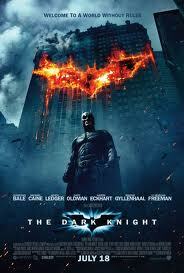 The third in Christopher Nolan's Batman trilogy isn't making as much as its predecessor, but it still finished at No. 1 at the weekend's box office. I saw "The Dark Knight Rises" Monday night, and I was wowed, literally. It's the greatest movie I have seen in last 20 years, and that's no exaggeration. It steamrolls "The Dark Knight," and makes it look meek on all levels. The story was near flawless, the action intense and the acting perfect. The ending was best movie ending I have seen. Ever. A friend asked me if it was better than "Batman Begins," and I hesitated. But after I thought about the Florence scene, I said "absolutely." That was genius. I would have loved the movie if it ended with Robin John Blake entering the Batcave, but when Christopher Nolan threw in Bruce Wayne and Selina Kyle ... wow!! Tom Hardy, Joseph Gordon-Levitt and Anne Hathaway stole the show. I thought Hardy's Bane was top-three movie villain of all-time, even better than Heath Ledger's Joker in "The Dark Knight." Bane was creepy, intense and intimidating, and the fact he acted with hands and eyes for most of the movie certainly says something. The voice was so creepy and well-placed. Sure, Ledger's character was iconic, but the Bane character would have mauled (probably using the Darth Vader choke!) the first glimpse or threat of a purple-coated clown. Kyle was surprising on all levels. I didn't think Nolan's interpretation of the iconic character would be that cool. Levitt was Levitt, great, not good. I'm wondering if he actually will be Robin or Nightwing? Scenes in "The Dark Knight Rises" that were some of best: The sewer fight between Bane and Batman without music; the Batpod reveal chasing the motorcycles; and of course any scene with the Bat. The most memorable were the Florence scene (obviously) and Batman/Selina Kyle fighting Daggert's guys on the rooftop. For a few seconds you see this stalking, brooding Bane, casually strolling like wrestler Stone Cold Steve Austin to the excitement. Awesome. Everything about "The Dark Knight Rises" was super-cool. Unequivocally, the best comic book movie ever, and the best trilogy ever. It's often discussed, argued, theorized and often proven throughout motion picture history the third part of a trilogy rarely crosses the finish line with a Triple Crown intact. Some argue Peter Jackson's three Lord of the Rings films did that. While I respect the fantasy trilogy, the genre just isn't for me. It's a personal preference, so for the haters out there, this is simply one man's list. I admit Jackson knows what filmmaking is about, but so does Christopher Nolan. What's the making of a perfect trilogy? Avoiding a blunder. It's doesn't have to be a colossal one. A minor one will do the trick. Which brings us to "Godfather Part III," "Indiana Jones and the Temple of Doom," and "The Return of the Jedi," which bring down - albeit by a slim margin - movie trilogies that could arguably lay claim the No. 1 spot on many critic's list. Godfather III, Doom and Jedi's only faults are the comparisons with the trilogies' other offerings, but when discussing greatness in cinema, it's a difficult grading scale. In the world of Christopher Nolan's Batman trilogy, there's no such worry. The greatest movie trilogy in film history has a new No. 1, which is interesting because I'm not sure what would have ranked on top before Nolan's Batman series. I'll go with the original Star Wars trilogy. It doesn't matter now. Nolan's three deep stories analyzing an iconic character has taken movie making to a new level. 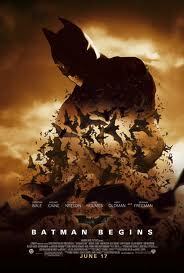 Put it this way: When 2005's "Batman Begins" is a trilogies' weakest link, that's a nice starting point. Then there's 2008's "The Dark Knight," which ranks as the No. 1 superhero movie on many critic's list, and, of course, "The Dark Knight Rises," released Friday, which is right on par with Nolan's second Batman installment from this corner. 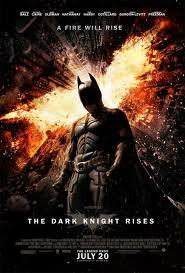 "The Dark Knight Rises" as the third part of a trilogy is another big victory for Nolan. While so many have come up short or flat-out failed, the director came clean on his promise to close his Batman tale in part 3. He did so with a epic cival-war story hell-bent on destruction, spectacular special affects, several awesome reveals at the film's conclusion and a satisfying sendoff for Bruce Wayne/Batman. The trilogy did everything one should do: It identified the main character, told his story, his struggles, his triumphs - and then closed the book on that character. In this case, the trilogy wasn't about Batman. It was Bruce Wayne's journey, and it worked so well, 25 years from now and beyond, these three Nolan films will surely stand the test of time, no matter how critics or fans feel about the trilogy. There's a scene in the conclusion of "Batman Begins," when Gordon tells Batman, "I never said thank you," which the Dark Knight responds with, "And you'll never have to." Oh, the irony of that dialogue, and finally, a perfect movie trilogy. Sometimes your friends come to you with ideas you think are a bit crazy, but you go along them anyway. In this case, the friend was a coworker, News-Herald Sports Editor Mark Podolski. It’s his fault that I’m sitting in a movie theater lobby using a small laptop computer at this very second. “Podo,” as he’s known around the office is, like me, a Batman fan and passionate about the newer Batman movies directed by Christopher Nolan. And, even though he and I were attending an advanced media screening of the film on Tuesday, he convinced me we should attend a marathon of all three movies – 2005’s “Batman Begins,” 2008’s “The Dark Knight” and the series finale, “The Dark Knight Rises,” premiering across the country at midnight today, Thursday, July 19. That’s why I’m here at Atlas Cinemas’ Great Lakes 16 in Mentor. Three movies. Roughly nine hours. Gulp. Even for me, that’s a lot of sitting. 5:35 p.m.: Arrive at the theater well in advance of the 6:30 start time because I want things to go smoothly. 5:45: Podo arrives, but I leave him to a piece of breaded chicken he’s having for dinner and I go talk to the manager, Justin, to get all squared away. Justin tells me that they’ve sold about 700 tickets for “Rises,” about 100 for the marathon. The auditorium holds 250, he says. 6:00: I’ve chosen our seats – at the back of the auditorium floor in a corner, which hopefully will allow me to tweet from the auditorium on a very dimmed iPhone screen without disturbing anyone. We will be tweeting with the hashtag #BatmanMarathon. 6:05: Work time. Justin has given me access to the theater’s party room – a narrow room with decidedly kid appeal, but the connection is bad and I’ve moved the lobby. Not better, really, so I it looks like I will not be blogging throughout the night as planned but create one large entry later. 6:20: I’m heading back into the theater. My plan is to eat a small bag of apple slices I brought. After that, it while move junk food. I realize this is the best I will feel all night. 6:25: Almost time to go. The theater is maybe half-filled. Podo and I are bummed no one is in costume, but we do see some Batman T-shirts. It will have to do. 6:31: The ads that had been rolling on the screen are replaced by a trailer for the upcoming movie “Total Recall.” I decide it’s time for a concessions run. 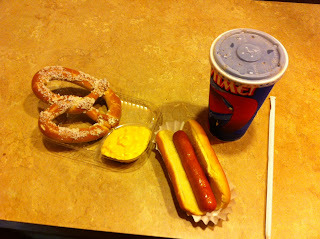 6:49: After coming back in after the start of “Batman Begins,” I have inhaled most of the food, leaving a bit of pretzel and cheese for much later. 6:59: Not surprisingly, I’ve finished the pretzel. It is great to be watching this movie again. I own it, but I haven’t watched it in a while. 7:30: We’re an hour in. Batman still hasn’t made an appearance. The film really takes its time with the origin story. 7:38: We have a Batman sighting. “Where are you??? ?” a spooked criminal asks. “Here!” a suddenly reappearing Caped Crusader yells. 8:13: We just witnessed the big car chase. I’d forgotten how awesome it is. 8:17: Bathroom break. I want to be in good shape for the finale. 9:04: The movie starts in six minutes. Podo has returned with an order similar to mine. He’s now out looking for people to interview on video. I, of course, am thinking about my next concessions run. I’m leaning toward popcorn now, candy later … doctor tomorrow. 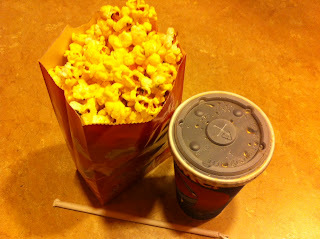 9:13: After grabbing a small popcorn and a Diet Pepsi (seriously, I’m an inspiration), I come back into the auditorium. Playing on the screen is a trailer for “The Dark Knight Rises.” I played before “Batman Begins,” too. People, if there’s a group of folks you no longer need to try to see on that movie, it’s this crowd. 9:27: The opening heist sequence is done. It always makes me think of one of my favorite movies, “Heat,” which has an even more amazing bank heist. 9:44: Was dying to stretch my legs, but I had to wait until the Joker has introduced himself to the gangsters. Fantastic. 9:57: I feel like I’m hitting my stride. Five more hours. Nooo problem. (I think this is caffeine-related delusion. 10:32: Yep, starting to yawn. It’s now been a long time sitting in a darkened room, staring at a bright screen. 10:58: One hour to go till “The Dark Knight Rises.” Podo is showing the first signs of fatigue; he has shifted noticeably in his seat. 11:24: I’m yawning a lot. It’s official. 11:40: “The Dark Knight” comes to an end. Predictably, more applause follow. 11:50: While I write, Podo has gone out to take stills and videos of fans waiting for “Rises.” He has found folks in costume and reports there are a lot of people at the theater. A man in front of me tells the person next to him that parking all around the theater, including that of some neighboring businesses, is pretty full. 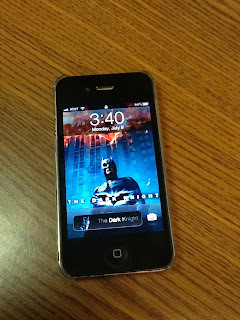 11:55: Will there be a trailer for “The Dark Knight Rises” before “The Dark Knight Rises”? I’m strangely excited to find out. 12:12: I’m regretting that in my review of the film I didn’t mention how great the opening sequence involving a plane hijacking is. Very cool. 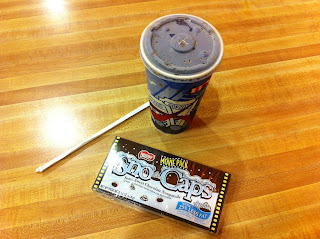 12:15: I have acquired my final meal of the day – a box of Sno-Caps and another Diet Dr. Pepper. This should do it. 1:21: I finally had been feeling all the hours in the theater – and, at last, all the junk food – but the tremendous Act I-closing fight between Batman and Bane has re-energized me. I am fairly sure it will be a temporary high. With that over, it’s time to stretch my legs again. 2:16: I’ve taken my last bathroom break – I think. I have, after all, drunk a soda or so of diet soda. The final action sequence is underway, and the curtain is about to close on “Rises” and this saga. 2:41: The final few minutes, which I like very much, have run their course. The credits begin, and the crowd again shows its approval. I’ve seen wilder movie crowds, but everyone seems happy. Marathon survived. Somehow, I knew I could do it. However, I believe my Friday will be not the greatest of days. Great idea, Podo. It was fun. Let’s never do it again. UPDATE: Before calling it a night, we recorded a podcast about the experience and the movie. We give you warning that there are spoilers about halfway through the podcast. 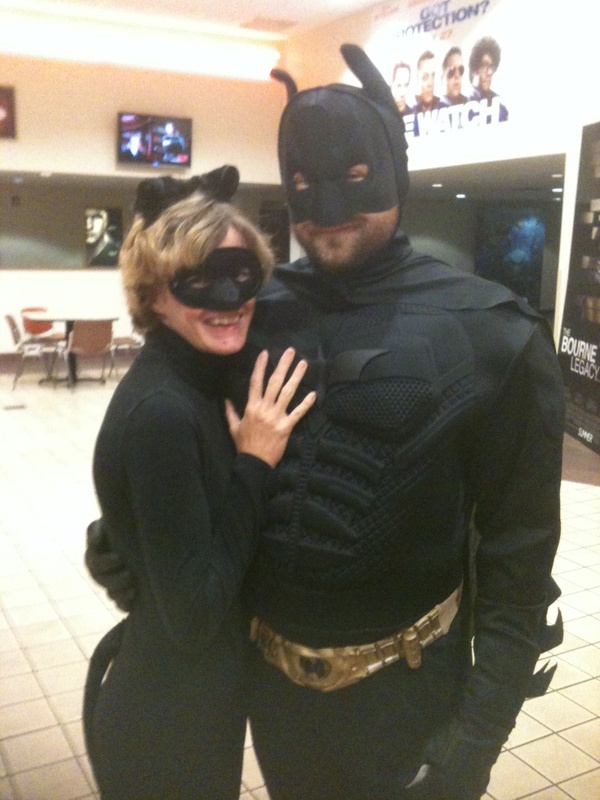 Be sure to check out Mezsoros' review of "The Dark Knight Rises." Remember Alternate Reality, the Northeast Ohio metal band that topped Yahoo Music's list of the worst music videos of the year? Maybe you recall the story I wrote late last year on the video for "The King That Never Was," filmed earlier that year at Squire's Castle in Willoughby Hills? Regardless, they're back in similar cheesy glory with a video for "Metal Coma." The followed their winning formula: filming at an unusual location -- in this case the famed Ohio State Reformatory in Mansfield -- and packing the video with babes. "As always," Delchin says in the release, "the goal of our videos is to entertain, and I'm extremely grateful to all the volunteer actors in the Cleveland area who gave up their Sunday afternoon in April to be part of our video shoot. The response was overwhelming." Along with the other members of the band -- including Delchin's brother Bob, also of Wickliffe -- the video features musicians from Breaker, Destructor, Manimals, Eternal Legacy, Soulless, Venomin James, JJ Grim and Black Death. I'm taking a break from all the superhero/Batman/Spider-Man talk that has dominated this blog for the past month to share what is currently the best mashup ever created. *NSYNC's "Girlfriend" plus Justin Bieber's "Boyfriend." Since the first time I heard "Boyfriend" — and promptly turned it off because I was not a fan — I have been thinking about how much I loved the song "Girlfriend." I'm totally digging this mashup. Well done, Internetz. Now if you'll excuse me, I'm about to fall into a blackhole of boy band music videos on YouTube. Could Batman actually – gasp! – die? That’s one of the many topics discussed by Entertainment Editor Mark Meszoros, Sports Editor Mark Podolski and Comics: Don’t Get Me Started blogger Chris Lambert in this “The Dark Knight Rises”-focused edition of the Tuned in to Pop Culture podcast. The fanboys get you ready for Thursday’s midnight release of the highly anticipated conclusion of director Christopher Nolan’s Batman trilogy with talk about what Nolan’s accomplished with the series, whether this last movie can actually top “The Dark Knight” from a creative standpoint and just how it might all end. News-Herald Entertainment Editor Mark Meszoros and Sports Editor Mark Podolski are celebrating the end of director Christopher Nolan’s trilogy of Batman films with a bang by attending a marathon of all three films -- “Batman Begins,” “The Dark Knight” and “The Dark Knight Rises” July 19 at Atlas Cinemas Great Lakes Stadium 16 in Mentor. The night begins at 6:30 with “Begins” and ends with the midnight debut of “Rises.” Meszoros and Podolski will chronicle the experience right here on The News-Herald’s Tuned in to Pop Culture blog, as well as in the paper’s July 22 print edition. They will be tweeting using the hashtag #BatmanMarathon. For tickets to the Atlas marathon, which are $19, visit www.atlascinemas.net. Some area Regal Cinemas locations are also hosting marathons. Details: http://tinyurl.com/cy5v448. If you'd love nothing more than to watch the stars of "The Dark Knight Rises" on the red carpet, you are in luck. NowLive and Warner Bros. will be streaming just that beginning at 6 p.m. today. Celebrities gracing the red carpet include Christian Bale, Michael Caine, Gary Oldman, Anne Hathaway, Tom Hardy, Marion Cotillard, Joseph Gordon-Levitt, Morgan Freeman, and director/writer/producer Christopher Nolan, writers Jonathan Nolan and David S. Goyer, and producers Emma Thomas and Charles Roven, according to a news release. "The Amazing Spider-Man" experienced a pretty big financial drop from last weekend's box office to this weekend's box office. It'll be interesting to see how it fares next weekend when "The Dark Knight Rises" is in theaters. 7. "Tyler Perry's Madea's Witness Protection," $5.6 million. Speaking of "The Dark Knight Rises," have you heard about what's coming this week to News-Herald.com? Meszoros and Podolski also will record a special “Dark Knight Rises”-centric “Tuned in to Pop Culture” podcast with Chris Lambert, who writes the blog Comics: Don’t Get Me Started. Look for the podcast right here on the Tuned in to Pop Culture blog on Tuesday afternoon. Also, Meszoros will review “The Dark Knight Rises” July 20 in The News-Herald and at www.News-Herald.com/Life. Improv is a long-standing love of mine. I was a religious watcher of Drew Carey’s “Whose Line is it Anyway?” and even tried my hand at performing improvised comedy while in high school and college. At Ohio University I was part of a group called Black Sheep. I had a lot of fun improvising scenes and games and performing during my time with Black Sheep, mostly because I shared the stage with a lot of people who were a lot funnier and more talented than me. People like the guys who put together this video, which came to my attention when a friend I was in Black Sheep with posted a link on Facebook. My friend me in touch with the men who put together the video. The three actors in the sketch are Luke Null, Travis Khoury and Patrick White (@PatrickBeige). The video was produced by Joe Lalonde (@joe_lalonde) and directed, filmed and edited by Alex Winfrey (@AlexMWinfrey) as part of Baby Mountain, a now-defunct sketch comedy group, in association with AVW Productions, a student-run media production house at OU. You can check out other videos from Baby Mountain on its YouTube channel or its Funny or Die page. Baby Mountain was Winfrey’s brainchild, and the name was retired when he graduated this spring. Null also graduated from OU and the spring, but White, Khoury and Lalonde are still students at OU. When the group got around to actually filming it, it was the beginning of OU’s spring quarter. The actors, all members of OU Improv (a group that grew out of Black Sheep), did their own clown makeup and got together in the living room of roommates Lalonde and Winfrey for the shoot. All of the lines were improvised on the spot, though some were derived from earlier jokes or reshot after part of the trio burst into laughter. “We did a ton of lines,” White said. Once Winfrey finished cutting the video down he uploaded the video on YouTube and posted it to Funny or Die. He also emailed Slash Film, a movie blog, and Slash Film featured the video in a July 9 post. The video was trending on Funny or Die after Slash Film embedded the link. As of this morning, the video had a 95-percent funny rating on Funny or Die with about 900 views. “The Dark Knight Rises” opens July 20. I’m super jealous of my co-workers Entertainment Editor Mark Meszoros (@NHFeatures), and Sports Editor Mark Podolski (@MPodo), who are getting an advance screening on July 17. They’ll be doing a podcast with Chris Lambert, who writes for the News-Herald Community Media Lab blog Comics: Don’t Get Me Started, sometime in the next week, which will be posted on www.News-Herald.com and right here on Tuned in to Pop Culture. Their previous podcasts on this summer’s comic book movies were entertaining and definitely worth a listen if you’re as into comics and the films they spawn as I am. UPDATED: Can I interest you in my daring (iPhone) jailbreak? By my admittedly low standards, it was rebellious. No, it wasn't like breaking the law or even playing hooky from work. But it probably tops wearing white after labor day. 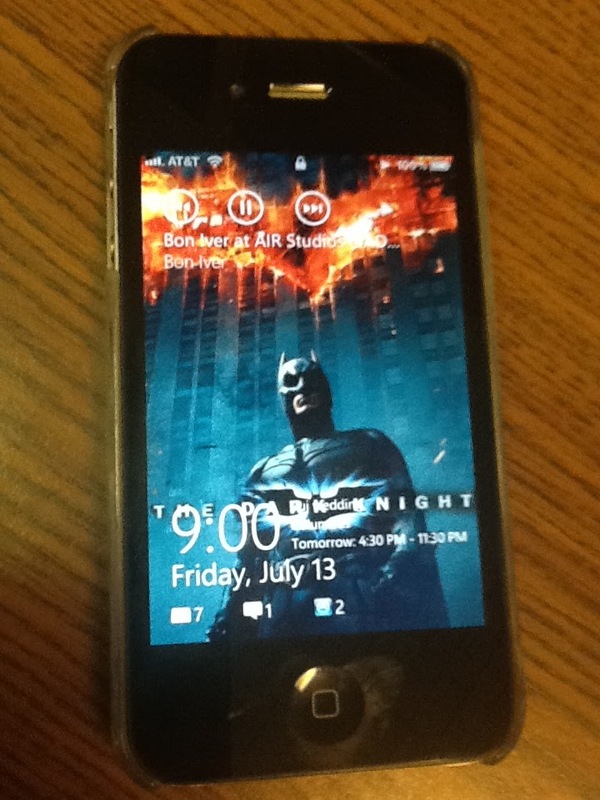 After weighing the pros and cons for months, I decided to jailbreak my iPhone. Sounds cool, right? The baddest of bad dudes would be involved in an actual jailbreak, helping criminals get back on the street. This is not quite so dramatic. For those who don't know, unlike Android phones, iPhones are what people refer to as "locked-down" by the company that makes them, Apple Inc. While an iPhone user can choose from thousands of thousands of apps that allow the phone to do this, that and the other, Apple does not allow app makers to change core characteristics of the phone. In other words, for example, a company can make an app to play music files on the phone, but they cannot do anything to tweak Apple's native music player. Apple's iOS operating system has come a long way over the years, so there may be fewer reasons to jailbreak than there used to be. However, there are still reasons, so I decided to go ahead and give the Absinthe Jailbreak a try. I had read good things, and watching a CNET How To video made me feel good about the endeavor. I knew I would need time -- time to back up the data from my iPhone, time to perform the jailbreak and, if need be, time to reverse it -- so it took a little while to get to it. 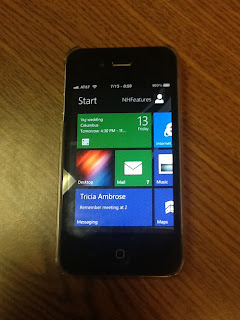 However, a little more than a week ago I sat down and got down to the business of setting my device free. 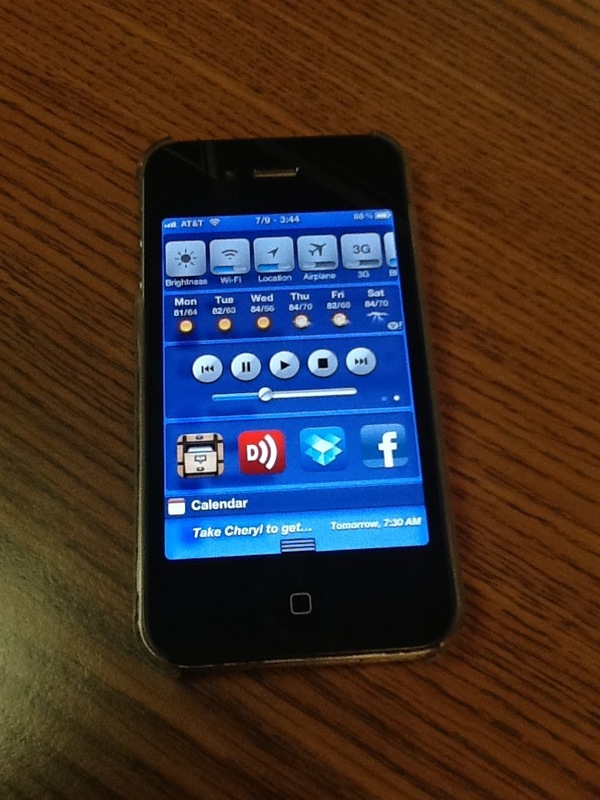 The process worked as advertised, and when it was over the famed Cydia app store had an icon on my phone. This is when I ran into two minor problems: the Cydia store is not the clean, polished work of beauty that Apple's App Store is; I didn't really know what I was looking for. Mainly, I wanted to jailbreak because I'm a tech enthusiast and like to think I am ahead of the curve when it comes to technology. And I did want to add one tweak specifically. I think the iOS pull-down Notification Center is a wonderful thing but that Apple doesn't use it to its full potential. I'd see that it was possible to add a row to the notification center with quick access to settings such as wi-fi, 3G and, most importantly, brightness. Really, I just wanted to be able to adjust the screen brightness much more easily than Apple allows. There are many options for this kind of tweak, but when I found the app SBSettings, I downloaded it (that goes a bit differently from what I was used to) and installed it (ditto). I was very happy, but SBSettings proved to be a gateway app. I got hooked on tweaking (that sounds much more unsavory than it is) and added music controls to the Notification Center and used the app Activator to create all kinds of gesture shortcuts -- two-finger swipe down to go back to the home screen, two-finger swipe up to activate the camera, etc. Most recently, I downloaded a tweak that lets me swipe left and right within Apple's music player to skip through songs and to adjust the volume by swiping up or down. phone's dock at the bottom of the screen instead of the usual four. 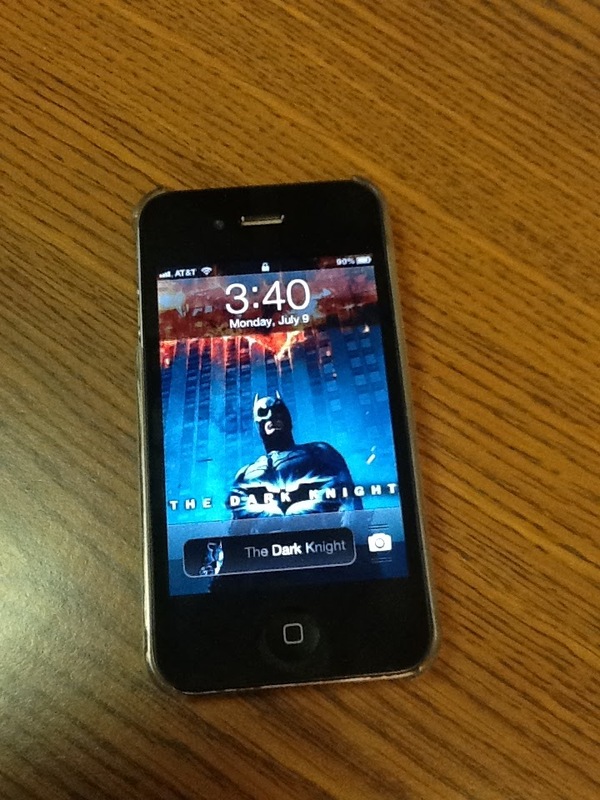 I've also downloaded and tried out a few themes, the best being one for 2008's "The Dark Knight," which, along with giving you a movie-related wallpaper, replaces the unlock slider button with Batman's head. Sure, none of these things sounds revolutionary, but taken as a whole they've truly enhanced my experience with the phone. Jailbreaking has its downsides, though. If I need to take the phone in to an Apple store, I'll need to reverse the jailbreak first, as I've heard the techies at the Genius Bar won't touch jailbroken devices. 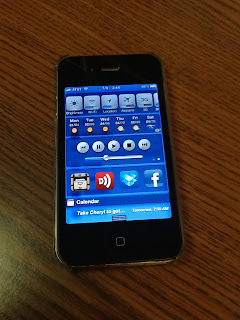 Plus, when Apple releases updates to iOS -- iOS 6 is coming in the fall -- the updates typically undo the jailbreak. Jailbreaking probably isn't for most folks, but if you're a bit bored with your iPhone and have considered taking the plunge, I recommend it. Come on, be a rebel like me. 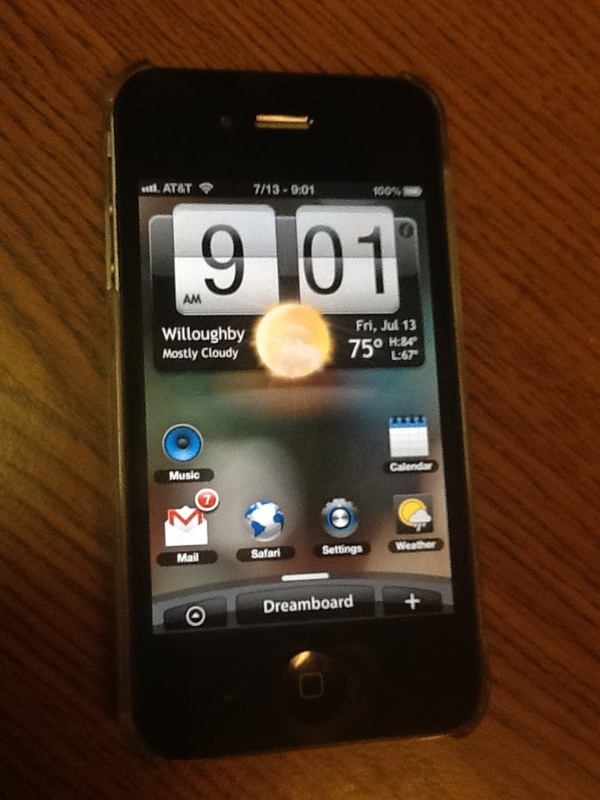 Since this post, I've ventured into the world of Dreamboard, a jailbreak app that allows you to apply different themes to your phone. 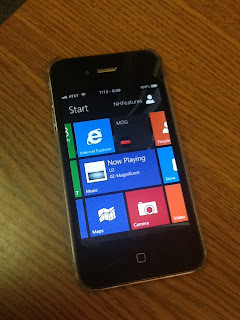 I was interested in one particular theme, Metroon, which applies a look inspired by Microsoft's upcoming computer and tablet operating system, (I learn about Metroon from a story on The Verge.) Windows 8. 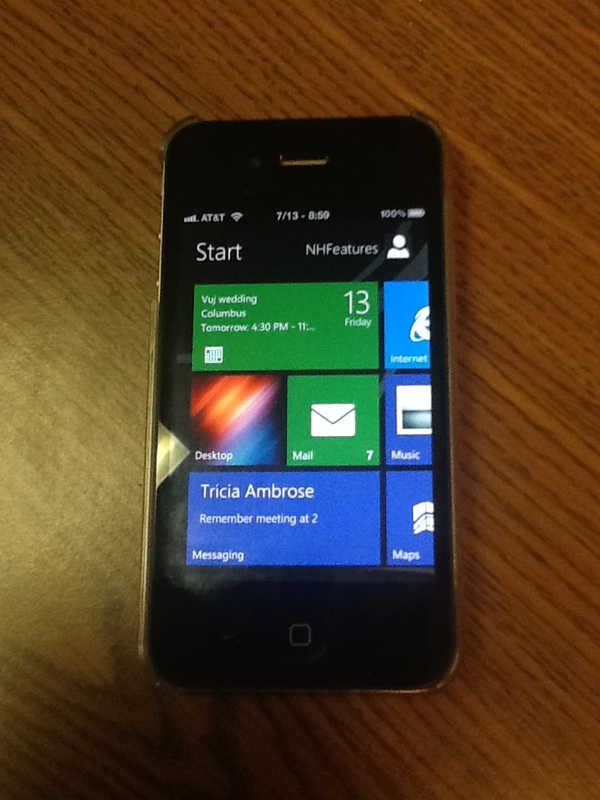 Windows on an iPhone? I know -- it's blasphemy. But I don't hate windows -- I plan to buy Windows 8 for my PC -- and there are lots of Windows-inspired themes in the Cydia store. The main reason I was interested in this was to bring some of the functionality of Microsoft's "live tiles," found on Windows 8 as well as Windows Phone 7. Primarily, I wanted calendar info to be on my main screen. I need but to tap the "Desktop" box to the left of the mail icon. simply opens up Apple's mobile Safari web browser. 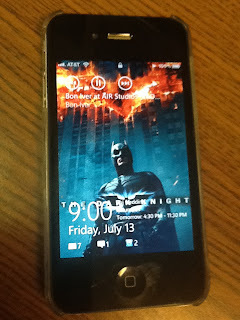 My lock screen has retained some of my "Dark Knight" theme, but it's Microsoft-ed it up a bit. Notice the time and date at the bottom and the music controls at the top. 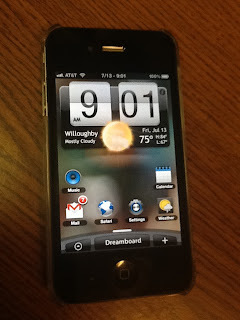 While Metroon set me back $1.50, Dreamboard is free and comes with a theme that makes your iPhone looks like its an HTC Android phone. is the integrated weather. That's not enough to use if very often. In my limited time using these Dreamboard themes, there's reason to think it's negatively impacting battery life, so I may not run them much. Still, messing with this stuff is kind of fun. The second of this summer's three superhero blockbusters ends its first weekend at the box office in first place -- which shouldn't be much of a surprise. If you haven't yet seen the movie, preview it with our podcast on anticipating "The Amazing Spider-Man" before heading to theaters. 6. “Tyler Perry’s Madea’s Witness Protection,” $10.2 million. 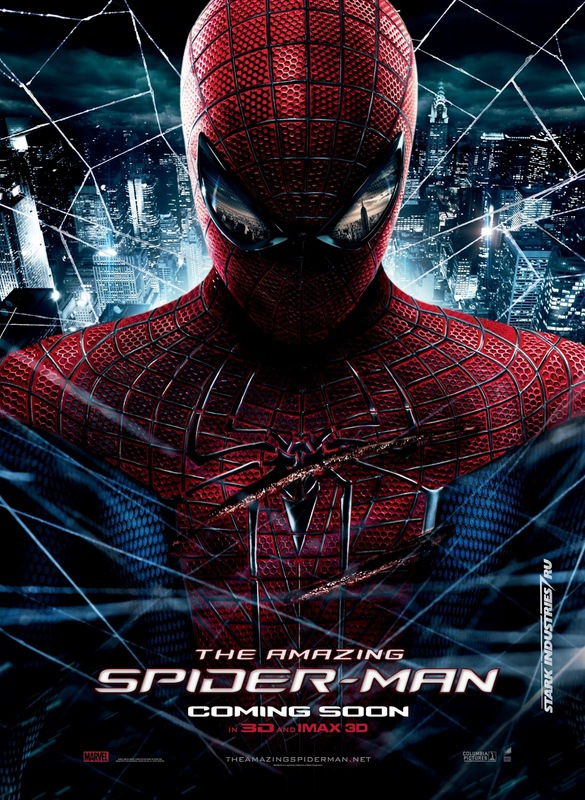 Are you ready for "The Amazing Spider-Man?" I'll try to be as spoiler-free as possible after a screening of the film last week. Bottom line: If you like Spider-Man, superheroes or big-time action, the movie, which opens on Tuesday, will be quite the joyride. Still, as much as there is to like, there's enough to dislike. Sorry to nitpick, but in an earlier blog previewing the summer of the superhero, I theorized "Amazing Spider-Man" might sneak up on moviegoers the same way "Batman Begins" did in 2005. Financially, it definitely has that chance, but style-wise, it doesn't. That's not a bad thing. "Begins" was a great film. 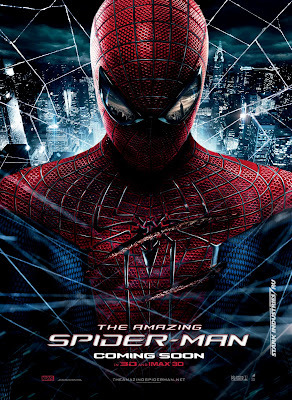 "Amazing Spider-Man" is a good film, a fun film. - Andrew Garfield is a better Spider-Man than Toby Maguire, but Maguire is a better Peter Parker than Garfield. If you enjoy the action of Spider-Man to the character development of Peter Parker, this is your film. -The Lizard as the villain. There are detractors of this villain, mostly because it's been a fringe character since Spider-Man was created in 1962, although Dr. Curt Connors, who transforms into the creature, first appeared in "The Amazing Spider-Man" comic book No. 6. The Lizard serves a purpose here, and has a tie-in with Parker's transformation into Spider-Man (although we don't know it yet). The computer graphics used to create the Lizard are impressive. -Spider-Man takes a beating. He's clawed at, knocked senseless and even shot at. There's a point in which you're not sure he's going to make it to the final battle, which is refreshing for a superhero movie. When a hero is vulnerable, you care about him or her more, right? -The nostalgia. Spider-Man creates his web shooters, just as he did in his first comic book appearance in "Amazing Fantasy" No. 15. Maguire's Spider-Man's webbing was a part of his anatomy, a drastic change from the character's roots. The 1960s' Spider-Man was definitely a smart aleck, and Garfield shows that better than Maguire did in three films. -Peter's relationship with Gwen Stacy, played by Emma Stone. It seemed forced to me, with not much build-up. This Parker is supposed to be more of an outcast, than a nerd, while Stacy is the obvious bombshell, although she's also a bit of a science geek too. Still, there wasn't a lot of development there to make me believe these two characters fell head over heels for each other this quick. -The score. I guessed I've been spoiled by Hans Zimmer's scores from "Batman Begins" and "The Dark Knight." Still, the score here is anything but amazing. -The mystery of Peter's parents. This is the biggest twist from Director Sam Raimi's trilogy. "Amazing" starts with Peter at a young age, and instantly his mother and father are on the run (from what and who is anyone's guess). Enter Aunt May and Uncle Ben. From there, Spider-Man fans know the rest. However, not much, if anything is revealed about mom and dad's whereabouts and what their disappearance has to do with Peter. The set-up is there for the sequel. -The creation of Peter's costume and his web shooters. Not much of a spoiler here, but Peter sews his web costume and creates high-tech web shooters in a matter of minutes. That's weak, especially for the web shooters. That's it, enjoy "The Amazing Spider-Man." I missed a lot of the "Magic Mike" buzz and didn't even know what it was until I read the review in Friday's TGIF. It sounds OK, but I think I'd rather spend my box office money on "Ted" — and apparently so would this weekend's movie-goers. 4. "Tyler Perry's Madea's Witness Protection," $26.4 million.